“The class I attended with my sister, brother, daughter and niece was a highlight of my Rangeley week. We all loved it! Everyone had very specific positive comments about how they felt afterwards. My brother felt taller and… stood up straighter in his 6’5” frame! My sister’s troublesome hip and ankle were greatly relieved of discomfort. My niece said she was breathing easier. My daughter reported feeling ‘more alive!’ I appreciated feeling more connected with my authentic self, always a challenge in the midst of family time. 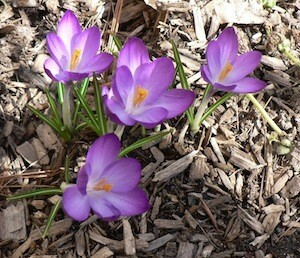 Notice what is emerging from the earth. Honor it. Care for it. 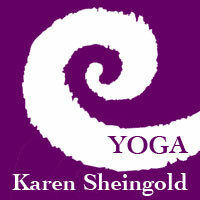 Drop-in mixed level class, Mondays 5:15 to 6:30 at Serenity Yoga’s new studio. Come join us! 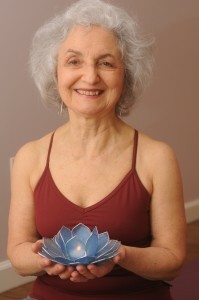 This 7-week series class begins May 1 at Serenity Yoga in South Hadley. Check out the details here. 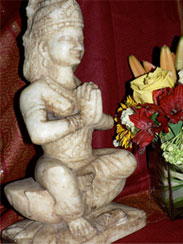 Please join me for yoga classes in Amherst and South Hadley, MA. Karen's Blog: So I Climbed Bald Mountain: What’s the Big Deal?